The cost estimate came in for the 'Californians for a Healthy California Act' (SB 562) as announced yesterday by the Sacramento Bee. 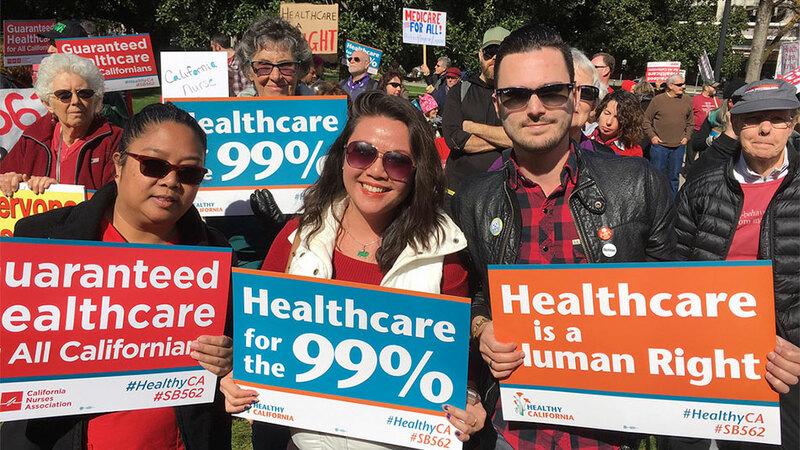 "The price tag is in: It would cost $400 billion to remake California�s health insurance marketplace and create a publicly funded universal heath care system, according to a state financial analysis released Monday." 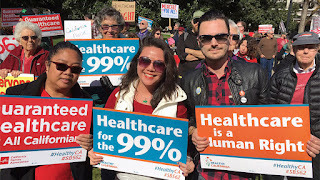 "California would have to find an additional $200 billion per year, including in new tax revenues, to create a so-called �single-payer� system, the analysis by the Senate Appropriations Committee found. The estimate assumes the state would retain the existing $200 billion in local, state and federal funding it currently receives to offset the total $400 billion price tag." I have considered that a chunk of the shortfall could be recovered from employer plans. The article says that $100-$150 billion could be available to offset. Remember, the Healthy California Act, if made law, would eliminate all private health insurance including employer-sponsored coverage.